My kids’ school loves to hand out pencil pouches. As prizes, at events, in grab bags, etc. Pencil pushes for DAYS. And unfortunately (or fortunately for us!) they’re all plain and boring. We don’t do boring around here. 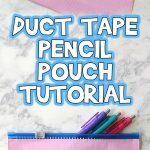 Let’s take this boring pencil pouch from blah to fab with this easy DIY Pencil Pouch Makeover! Here’s what you’ll need. 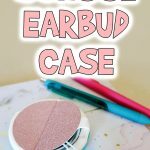 Check out my DIY school earbud case tutorial, too! 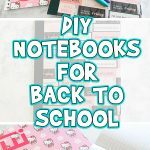 It will fit right into a pencil pouch! 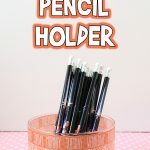 Plain pencil pouch. Canvas style is best. Stencil of your choice. I used one I already had. Metallic paint. I like this brand as it can be used on fabric, but is much more affordable than traditional fabric paint. Sponge brush or any painting sponge. Jewel-it or gem tac glue. Extra paper or an envelope to put inside the pouch. 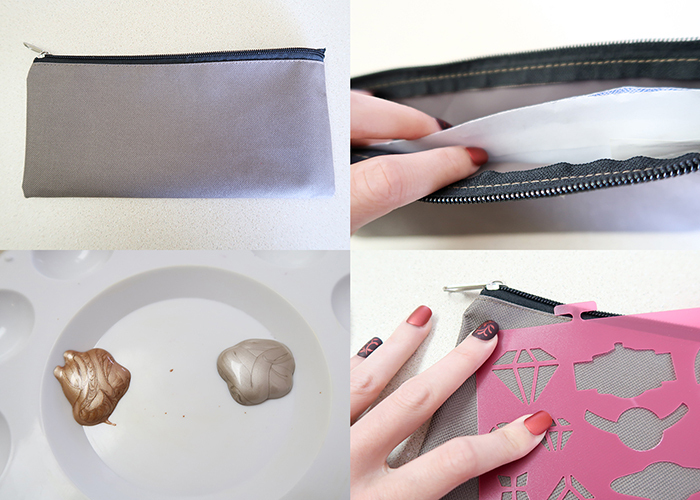 To prep your pouch for painting, take an extra piece of paper (or an envelope, which fit mine perfectly, and slide it inside your pouch. We do this so the paint doesn’t seep through to the back or stick the two sides together. Take your paints and put a small amount on a paint palette or paper plate. Now position your stencil where you want it. I chose to do a diamond and gemstone theme, but you can do pretty much anything you would like! Dab your sponge into the paint, and wipe off a good bit on the side of your palette. 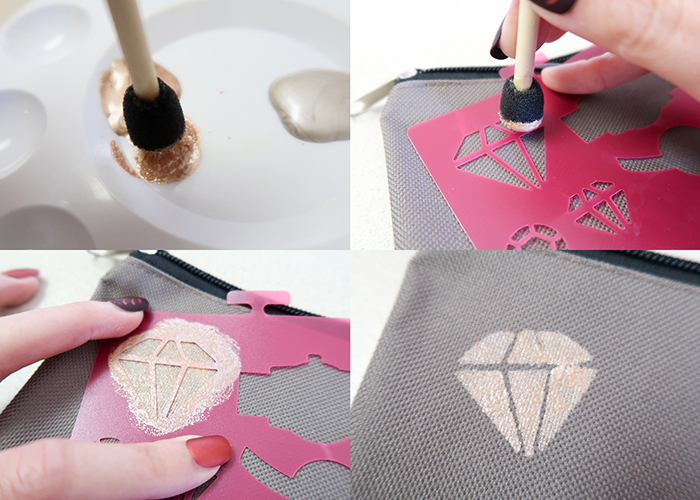 Gently pounce the sponge over your stencil until all the spaces are covered with paint. Now, here’s why you don’t want to use too much paint. If you’re using a non-adhesive backed stencil, too much paint = leakage. You can touch this up with a small bit of wet paper towel, but it’s hard to clean off completely. 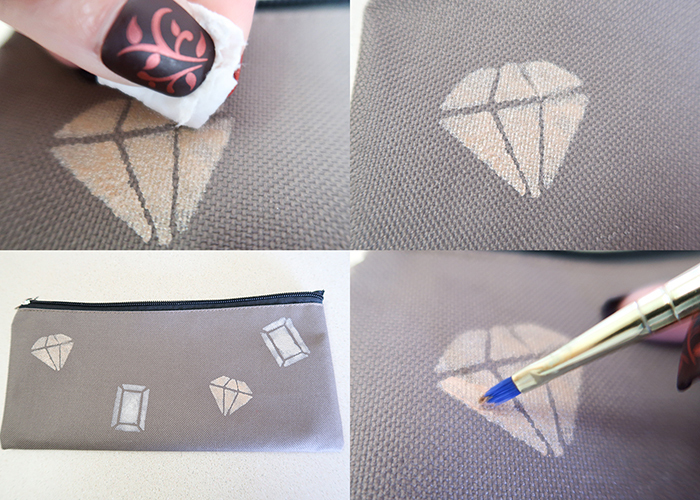 I did a few different gems, and realized that with the stencils I was using, that they were just best for getting the basic shape. Then I took a small brush and did a second layer, free handing over the shape that was already there. So much better! Repeat this with all of the shapes you want to make. Let the paint dry for about an hour before moving on. I’m definitely a sparkle kind of girl, so I needed to add rhinestones. This part is totally optional, but who doesn’t love sparkles? 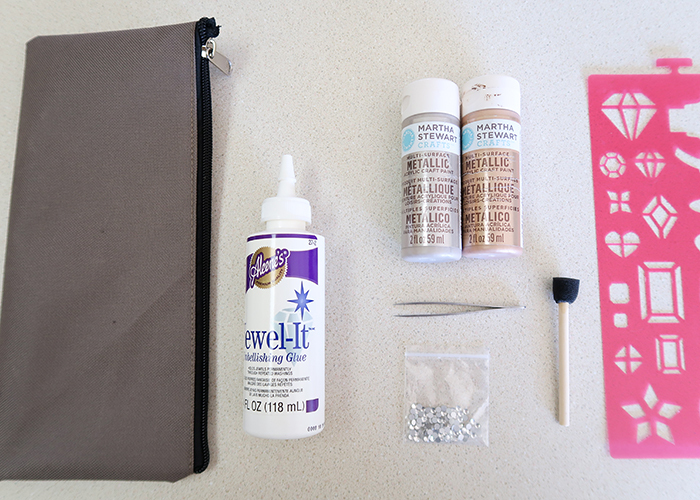 I use Aleene’s Jewel-It for attaching rhinestones because I’ve found it keeps them in place even through washing and is very easy to work with. 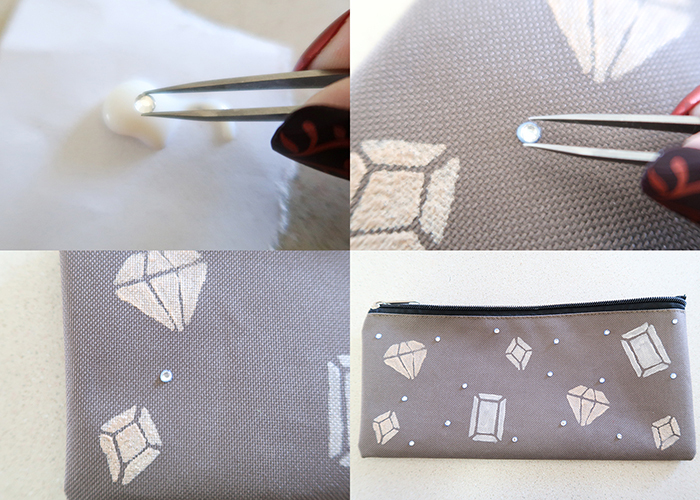 Put some of the glue on s scrap piece of paper, and pick up your rhinestone with your tweezers. 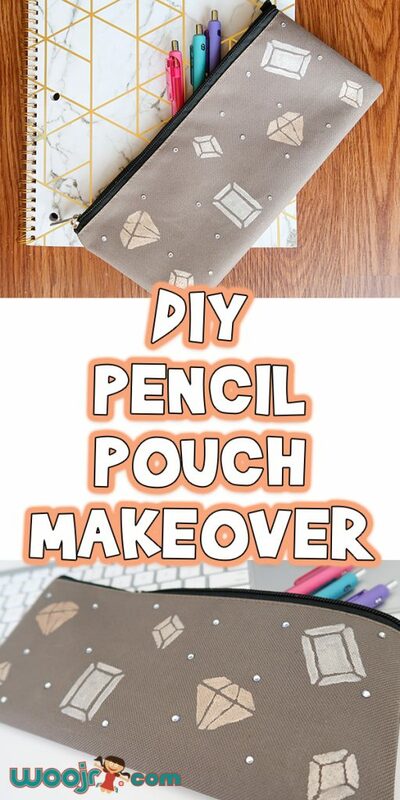 Gently dip the back into the glue, and set it down on your pencil pouch. A little bit of glue will squidge out around the edges. 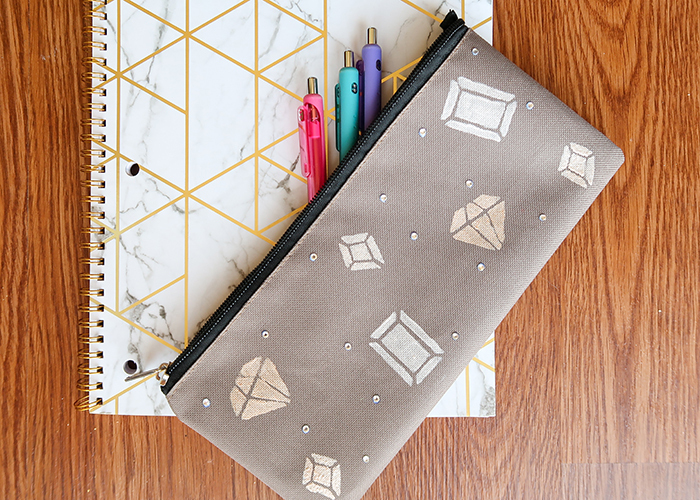 This dries clear and is a good thing, because it helps keep the rhinestone in place even through the abuse that most of us put pencil pouches through. 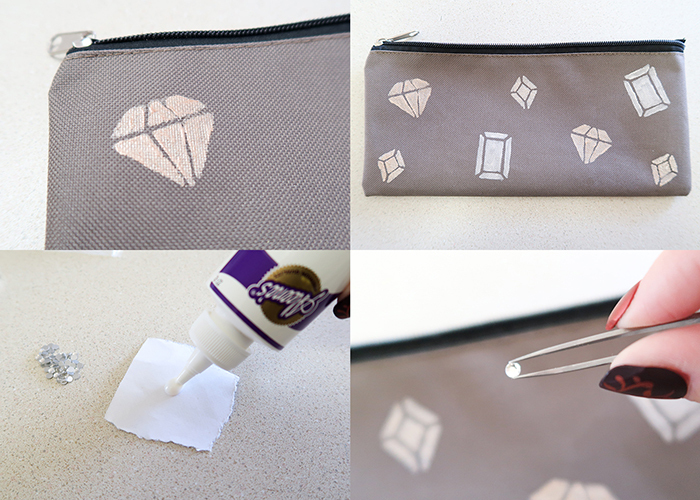 Go ahead and add rhinestones wherever you’d like them on the pouch. And you’re all done!! 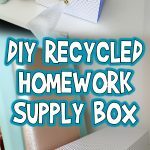 I hope you have fun doing a DIY Pencil Pouch Makeover of your own! 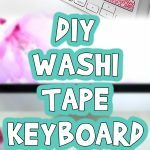 What creative themes can you think of?